Sorry, this was supposed to be posted elsewhere a few weeks ago, but I wanted it somewhere for posterity. 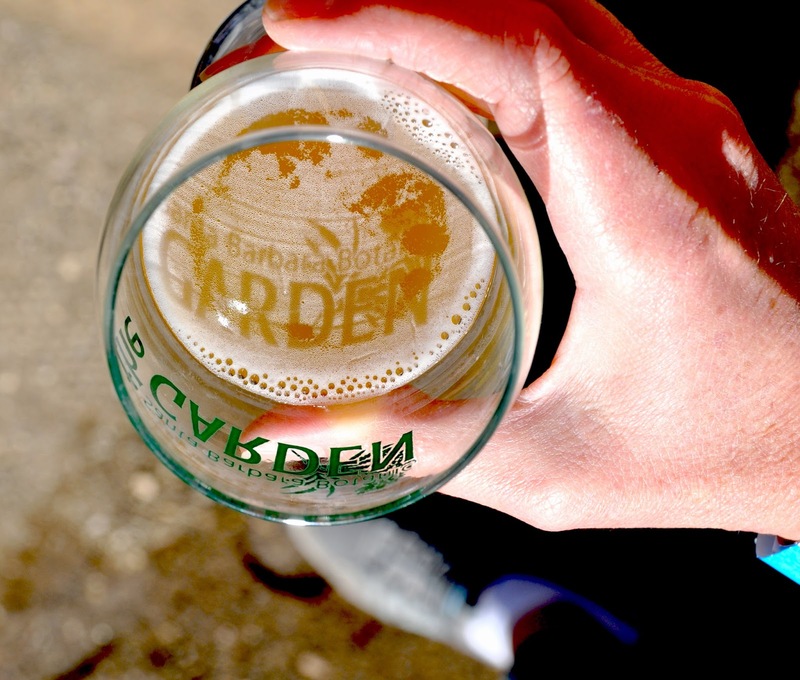 It’s hard to beat a chilled beer on a warm outdoor afternoon, but the Santa Barbara Botanic Garden surely did on February 22 when it became the Santa Barbara Beer Garden. After all, it offered craft beer amidst a local horticultural treasure on a halcyon pre-spring Saturday. If this becomes an annual event, the Natural History Museum’s Santa Barbara Wine festival has an ale-oriented counterpart. Cicerone Zach Rosen did a fine job matching beers with locations, orchestrating the eight stops for eight beers like a DJ putting together a perfectly segued and tempo-varying playlist. Kicking off with Pure Order Brewing Company’s Crooked Neck Hefeweizen, a refreshing, bright wheat beer as a sort of overture, made by a just-about-to-open brewery alongside the just-getting-renovated meadow section – well, what could be a better themed opener than that? While all the pours shone in their fine settings, a couple truly stood out this day. For instance, Santa Barbara Brewing Company’s King Saaz (so called because of its featured hops, called a noble or wild hops, from Bohemia)(the place in eastern Europe, not the Mexican beer) seemed to take bold inspiration from the redwoods where guest got to taste it. Surprisingly full of flavor – it is an imperial pilsner, after all, its dry-hopping really hit home, especially on the nose. The people pouring it insisted it was a beer, “just about skill and technique,” but it was far from a technical exercise, pungent, pleasing, palate-refreshing. In a completely different direction, and therefore attesting to the wonderful range beers can encompass, was the Dudes’ Grinning Face Porter. Darker and seemingly heavier (thanks to its toasted malts) than the Saaz, it actually was lower in alcohol (don’t fall for that “if it’s dark it’s strong” trick). While you couldn’t miss the coconut flakes and vanilla added to the mix, it remained in perfect balance – far from sweet thanks to its good hoppiness, but far from an IPA pucker-bomb, thanks to its rich, roasted grain. And it made for some crazy good ice cream floats, too. Meanwhile, there was still Surf Brewery’s Imperial Red Ale and The Brewhouse’s Abbey Ale and Island Brewing’s Avocado Honey Ale and Telegraph Brewing’s Handlebar Abbey on Oak and Figueroa Mountain’s Davy Brown Ale to enjoy, too, which is a lot of enjoyment.